The chunky, ergonomic barrel is very comfortable. The wood is from sustainably managed forest with an FSC seal. The multi-mix lead blends 3 colors. 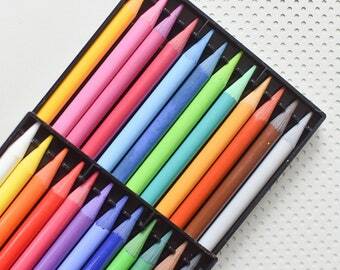 Turn the pencil a little while drawing and and the color pattern will be different. 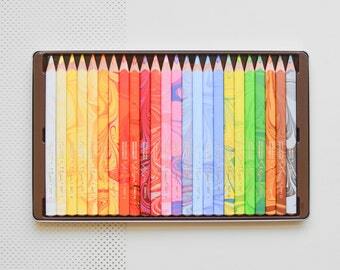 Koh-i-noor is a Czech brand that has been around since we can remember. 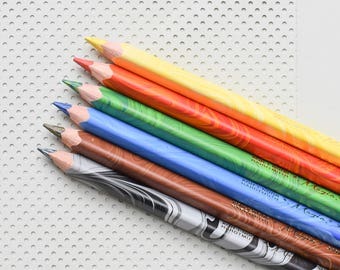 In Eastern Europe they were THE household name for stationery and are still very successful on the market. We love their approach to design: a little bit traditional and also nostalgic. We are obsessed with everything marbled so this is right down our alley. 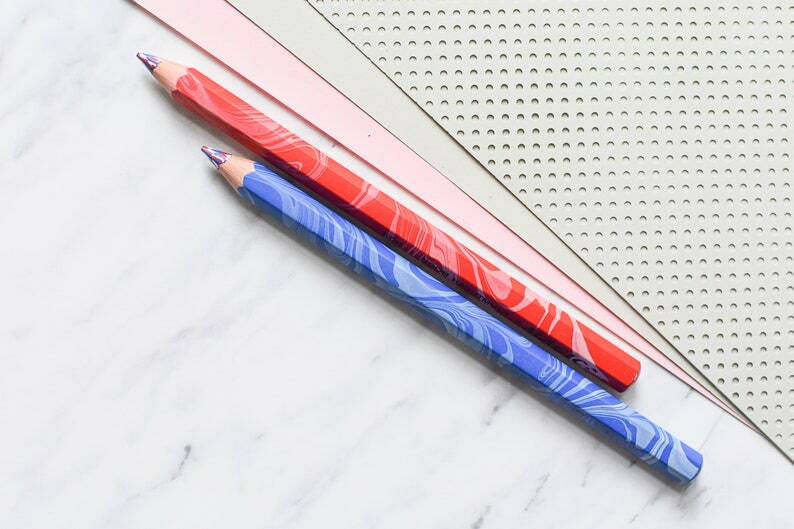 The Jumbo XXL Magic pencil is available in red and blue tones.